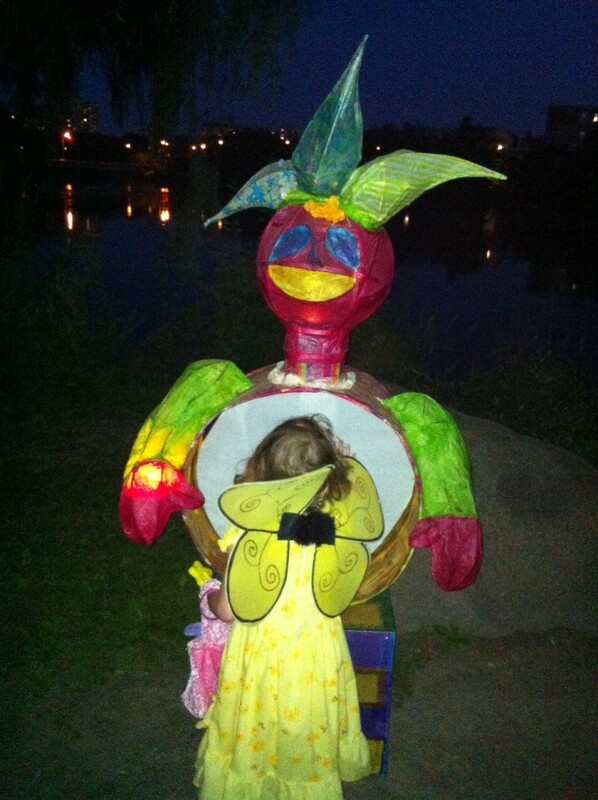 So our family checked out the Lumiere Festival in Ottawa’s New Edinburgh Park for the first time this year. I’ve been hearing about this for a few years now, but wanted to wait until my eldest was a little older before going. So, given she is almost 4, we headed out as family for an evening of fairy fun and lights. Basically, everyone runs around in the dark with glow sticks. Kids stay up late for it. There are lanterns and lights everywhere. AND! 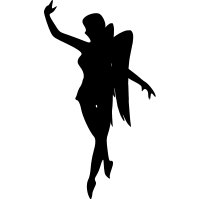 little girls – and some grown ups – dress up like fairies. So my three-year-old was thrilled to have an excuse to wear her fairy wings from Halloween and prance around with a wand. Many things were a glow. There were dancers, and fire eaters, and stilt-walkers, and artwork, and music, and many random things glowing, and it was all very beautiful. We wandered around the park watching performers; stopping to look at art; stopping to talk to people we knew; and just plain enjoyed being out at night amongst the people and the lights. My elder fairy checking out some of the festival sites. There was a craft station where you could decorate your own lanterns – but you had to bring some basics yourself – like the mason jar and tea light – so we’ll remember that for next year. We left before the grand finale (apparently they send lanterns into the sky) but our two little fairies just weren’t going to last that long. That said, they were pretty mesmerized by everything up until the end. One of the highlights for us was a collection of bunny lanterns that you could wander through. All in all, definitely worth it! I think it will be even better when the girls are a bit older – I’m thinking age 5-10 will be the golden age for the event. That said, I think we’re adding it to the calendar of yearly things to do in Ottawa. A great night out!